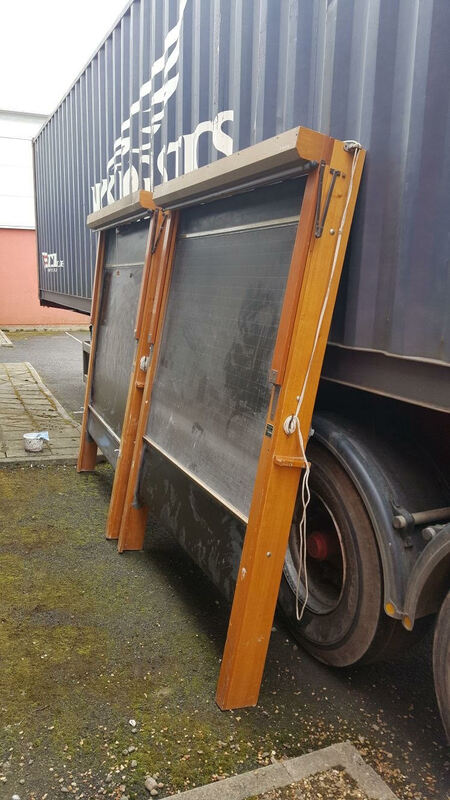 On Tuesday 30/05/2017 a 40 foot 0cean freight container was loaded onto a trailer that the been parked outside the former Surplus Educational Supplies Foundation, SCO39331, Unit 12 of the West Shore Business Centre, Shore Road, Granton,Edinburgh EH51QT since Monday27/ 03/2017. 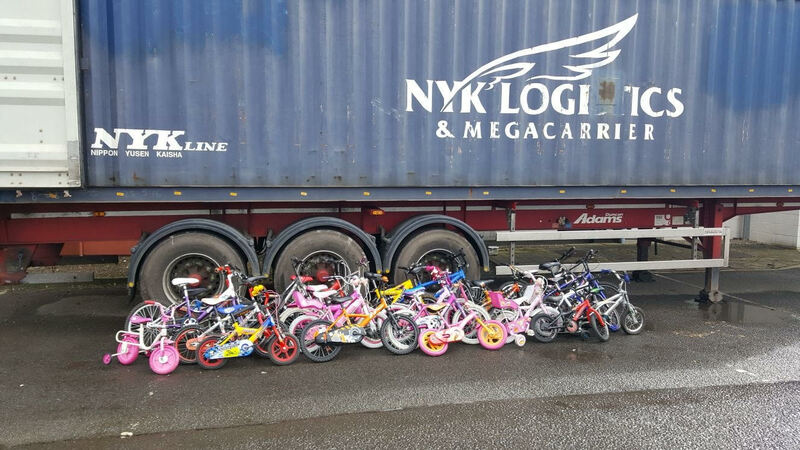 It was collected by Duncan Adams Transport Ltd, and it was delivered to the Port of Grangemouth on Wednesday afternoon 31/05/2017. There in Granton, over the ensuing weeks, the container was loaded with a cargo of educational resources and refurbished bicycles by Brake The Cycle’s Team www.edinburgh.gov.uk/brakethecycle. On Tuesday 08/06/2017 the container will be loaded on to the Hapag Lloyd container ship the AldebaranJ. The ship will leave later from Antwerp on Wednesday 21/06/2017 for Port of Everglades Florida,USA, scheduled to arrive on Sunday 02/07/2017. At this port it will be transshipped aboard a Crowley Inc. shipping line vessel and delivered to Port au Prince, Republic of Haiti. These bare facts involved in the logistics of the recent trans Atlantic shipment of aid to Dame Marie,South West Region of The Republic of Haiti only tell part of a story that would take many pages of several books to relate. HELLO EVERYONE. LINDA HERE, THE GAL YOU ARE SENDING THE CONTAINER TO IN HAITI FOR MY SCHOOL. I'M WRITING THIS ON THE PLANE TO PORT AU PRINCE. I'M BUBBLING OVER WITH JOY, TEARS AND GRATITUDE RIGHT NOW FOR EVERYONE'S TEAMWORK AND HARD WORK. I WISH I COULD EXPRESS TO YOU WHAT THIS MEANS TO ME, THE ENORMITY OF THE TASK WAS SO OVERWHELMING FOR ME BUT THE NEED SO GREAT AND YOU HAVE ALL COME THROUGH FOR OUR KIDS WHO NOT ONLY HAD THEIR SCHOOL DESTROYED BY HURRICANE MATTHEW IN OCTOBER BUT ALSO THEIR HOMES AND MANY OF THEIR PARENTS THEIR LIVELIHOOD. HOPEFULLY, ONE DAY YOU CAN ALL MAKE THE JOURNEY AND SEE THE LOVE AND JOY IN THE CHILDREN'S EYES THAT I SEE. BLESS YOU ALL. First I shall outline a little back ground. 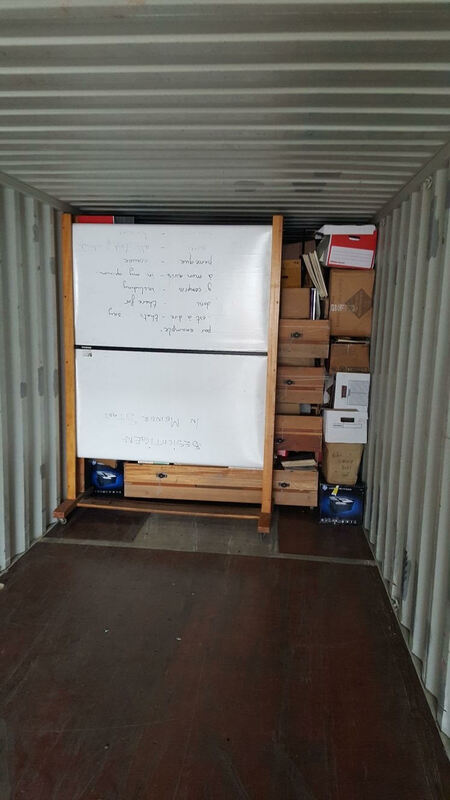 For the past thirteen years I have attempted, at great personal cost, to salvage some of the large quantity of fit for purposes educational resources that Scottish Local Authorities have chosen to transport, at rate payers expense, to land fill sites. Thanks to Edinburgh City Council who loaned me the use of a derelict industrial unit, whose roof at my own expense I had repaired, I was able to store many more resources that I was able to acquire. From the site in Granton another Charity; Edinburgh Direct Aid, were able to acquire resources for a large Syrian Refugee Camp school in the Lebanon. This recent shipment to the Republic of Haiti post the 2010 Earthquake and Hurricane Matthew in 2016 came about in an indirect manner. Last year in July, I was able to return to my home Island of Barbados, West Indies. My cousin invited myself and Family for lunch. His daughter, in the midst of gathered relations, asked me what I intended to do now with my time, given that the Surplus Educational Supplies Foundation: a Scottish Registered charity SCO39331 for the past nine years had been dissolved. I replied that I hoped one day to go to The Republic of Haiti and build a school. I had just spent a year On the SQA, NPA Plumbing and Construction Course at West College Scotland Paisley Campus and two year prior on SQA Access To Construction Skills Course at Argyll College in Rothesay Isle of Bute. Need less to say my reply to my Young cousin’s question was met with no little incredulity by the Family. However my host came to the rescue and told me that a friend of his made regular trips to Haiti with containers of aid to the survivors of the Earthquake in 2010 and offered to introduce me to him. As they say the rest is history. One event leads to another, and failure does not mean the end of a dream. I knew that the overweening ambition that I expressed then though way beyond my means or capacity to fulfill was not the end; for I could not have anticipated then where it has lead to. On my return Scotland the fact that there still was, a large quantity of educational resources in Unit 12 that had to be distributed to deserving beneficiaries in a manner that would warrant the trouble and peronal cost to salvage them weighed heavily on my mind. One day I got back in contact with someone whose teams had enabled me to salvage library books from The Morningside and MacDonal Libraries in Edinburgh. He suggested that one of his teams could assist me in the inventory of salvage resources and possibly load them should I get the opportunity to make another shipment. During month of February I learned about a Canadian couple who had had their home in Dame Marie destroyed by Hurricane Matthew. This couple along with other Teams are engaged in rebuilding a school in that community. 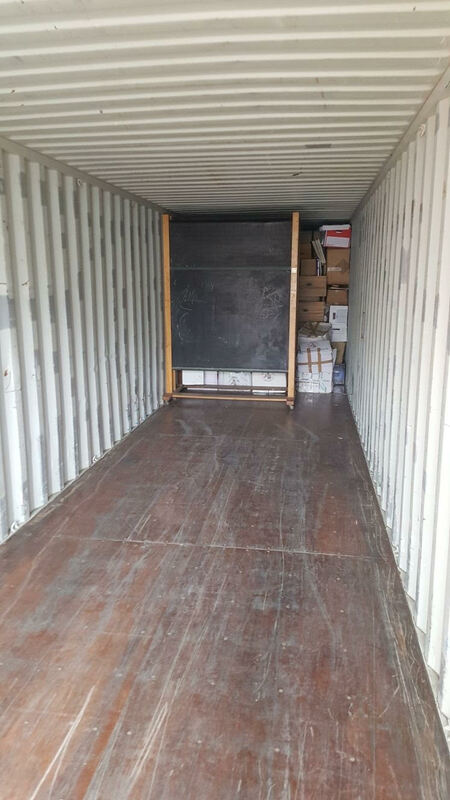 Three groups with different agendas have come together and along with individuals in the corporate transportation collaborated to make this shipment of Container TDRU8229551 possible. Time will prove how valuable this shipment was to its recipients. God works in mysterious ways, His wonders to perform! Dave, for years, you have never let the hardships or disappointments dampen your belief that these useful school supplies must not be wasted – they MUST get to those places where children are lacking a school & the hope of a chance to be educated. This Haiti venture has evolved like the most amazing orchestra, the instruments being you & all those others joining together with one passion – to bring hope to these children & this community… Hallelujah! Hallelujah! David, you are such a source of energy and good work. I know how much you have given of yourself to enable these shipments to happen. You are an inspiration to us all – I wish you & your family well. I am sure that everything you have sent will find the right homes and help to rebuild the lives of all those affected by the hurricanes and earthquakes. Chantal Good morning.Great to hear from You and receive these kind word this Monday morning.My work continues to make available fit for purpose educational resources wherever needed especially in the most impoverished areas of our Developing World;, but perhaps in a different form.I can’t work any harder I will have to see whether or not I can work smarter this team with a team who can contribute more effectively to the achievement of my primary objective.Kind regards. Tell us a bit about yourself, starting from where you were born and how you ended up in Bute. 1.I was born, brought up and educated on the Island of Barbados in the West Indies and after graduating from Dalhousie University Halifax ,Nova Scotia,Canada and there began my vocation in teaching which continued in 1975 in of City Glasgow Primary Schools until 1990, when I was offered the post of Senior Teacher,Rothesay Primary School on the Isle of Bute. 2.I was appalled by the deliberate waste of fit for purpose educational resources in many of the schools where I taught.When Hurricane Ivan 2004 devastated the entire infrastructure of the island of Grenada I thought here was an opportunity to gather these surplus to requirements resources from the local three primary schools and one secondary school on this island;, collect into storage, sort them,determine the priority need of one school in Grenada prior to shipment and ship them in a container. 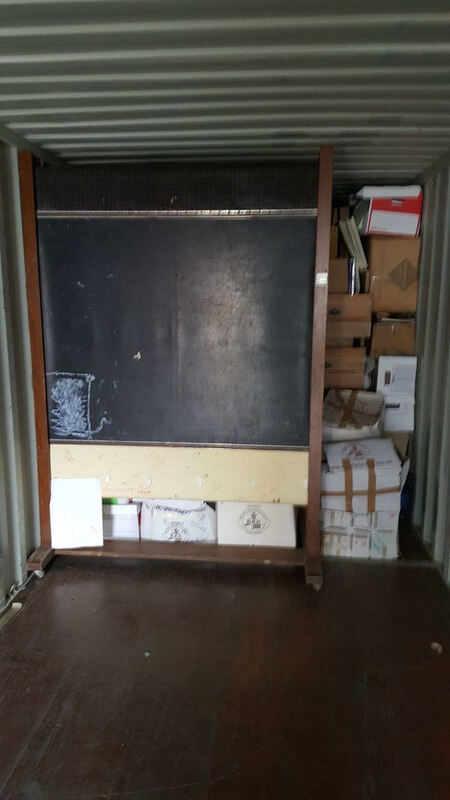 The school I identified was Grand Roy Government School,Grand Roy village,St John.One 20’ocean freight container of educational resources from Isle of Bute and Argyll&Bute schools became two. 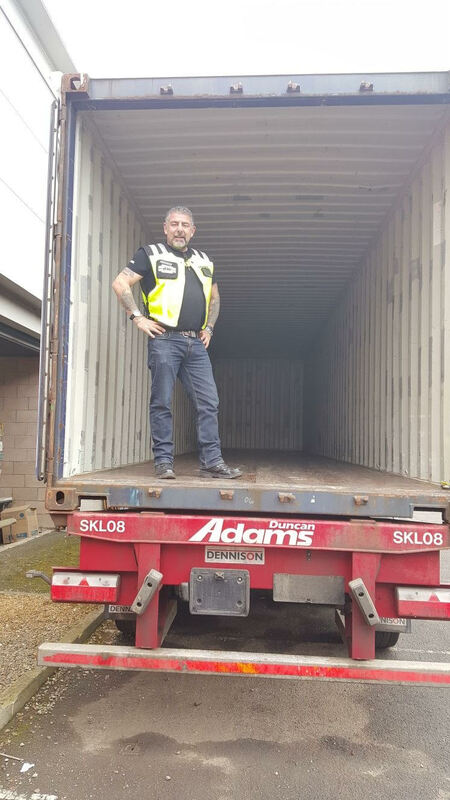 3.In all I shipped a total of ten ocean freight containers of fit for purpose educational resources that I had personally gathered from schools in Scotland. 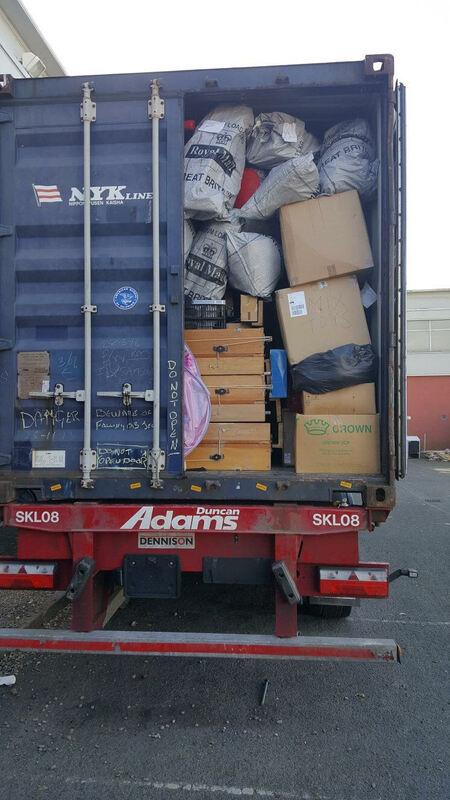 ; what began in 2005 with a 20 Gray Adams reefer ‘The Caribbean Hurricane Relief Depot’ at The Boat Yard in Port Bannatyne grew to become resources salvaged in warehouses in Greenock,Edinburgh and in containers at Clydeport Ocean Terminal, and Grange Dock, Forth Ports were to be shipped to schools in Grenada and all over the world,The first shipment was 01/07/2005,Ghana2007, Nicaragua 2009 ,Republic of Liberia2013, Jamaica 2014and most recently Republic of Haiti 2017. 4.In 2005 I came upon the Rococo Chocolates website and saw they had bars of chocolate made from cocoa grown in Grenada.I ordered some and the rest is history.Later that year the Coady Booths were visiting Grenada and saw for themselves the educational resources that I had shipped toGrand Roy Government School and later told “They are using absolutely everything you sent”. 5.Not in a formal way but I meet many of the Syrians on the Island of Bute socially from day to day here on the Isle of Bute.I sent enough resources to load a 40’a container from my warehouse in Edinburgh through the charity Edinburgh Direct Aid to Arsal large Syrian refugee camp in Lebanon. 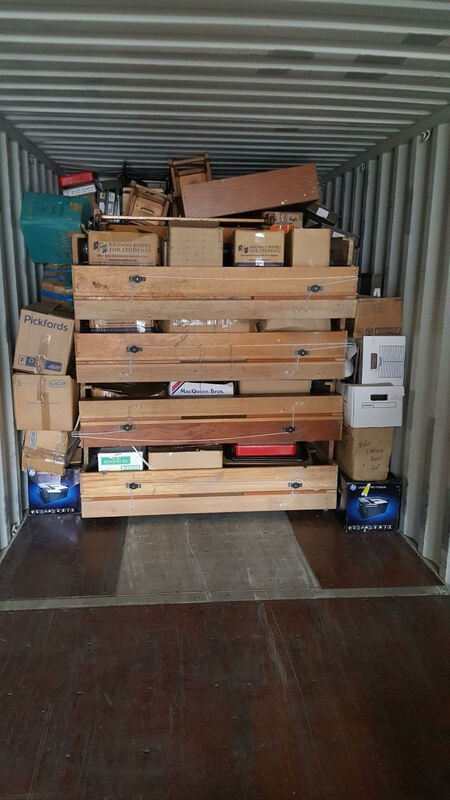 7.Consignees of containers and contents failed to meet their obligations to me the consignor by giving a full account of what had happened to my containers and contents after delivery.This happened in Grenada in 2011,Republic of Liberia in 2013 and Republic of Haiti 2017.The indifference of many of the Scottish Local Authorities to my requests that resources be stored before delivering into landfill and lack of support from nthe Scottish Government over a of thirteen years. 8. After all of my hard won experience at my own expense, I hope to be able to create before too long a company that will attract individuals who not only share my vision to supply resources to ill equipped schools in the Developing World but can contribute by their own expertise and experience that we together will make a significant and unique contribution to the learning and teaching in these areas of desperate need. What inspired you to salvage the surplus school equipment? How many containers have you sent & where to. Are you involved with the Syrian refugees on Bute? These answers to some questions give only a very brief snap shot of an initiative that began in in early 2005 and continues to this day. records with with the Scottiish Charities Regulator ,Dundee see Surplus Educational Supplies Foundation SCO39331Registered Scottish Charity and Company Registered in Scotland N0.337348 Companies House Edinburg will give a better picture.Also a Diary which runs to over a thousand pages! I’ve lost the attachments to this email. Can someone please send it to solidaritynatal@yahoo.com and myself. Customs has lost the paperwork. I swear we’ll get this done! !